Western countries have dramatically amplified their security and surveillance game since the collapse of the World Trade Center. 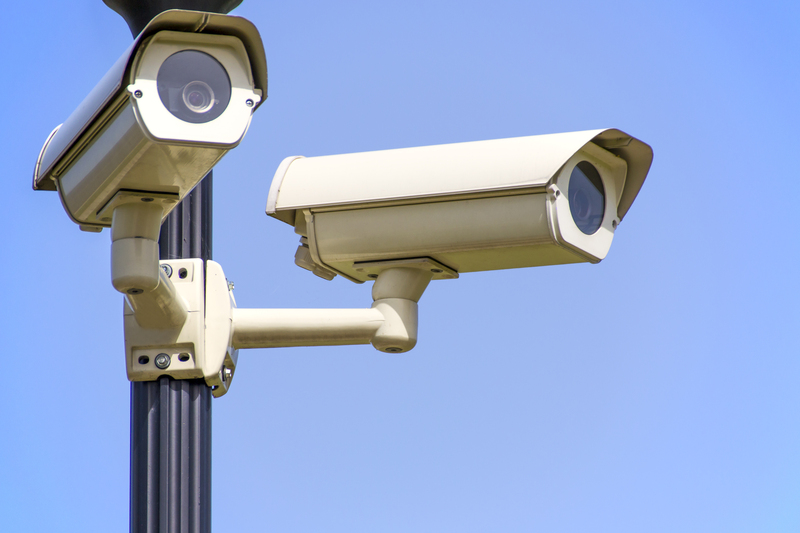 More closed-circuit televisions (CCTV) are being added to every corner of the city while airports are implemented with tough security measures. The Internet on the other hand is watched and closely monitored by the guardians of freedom at the CIA and NSA. Citizens of the western democracies are feeling increasingly watched by their “democratic” government. It feels like every individual are living in a Panopticon prison, where the authorities watch you from all angles. Let’s take a look at airport security. The agents at the security checkpoints are government personals aimed to ensure the safety of passengers from a micro perspective and the safety of the nation from a macro perspective. Since global terrorism is at play, the government tend to be extra cautions toward the people who passes through the security checkpoint. The Transport Security Administration (TSA) in the United States often requires the passenger to take off their shoes and go through the full body scanners. There is however, a double standard in terms of surveillance and security, and this is when the feminist perspective comes in. Feminist perspective tends to focus on the wellbeing of the marginalized communities who were the victims of racial or religious discrimination. Feminists who fought for social justice and women’s rights, are sided with the cause of human equality. In the case of airport security, people who have non-western appearance tend to attract the attention of the security officer. They believed that these people are not transparent and their true identities are very opaque. While the government tried to remain politically correct on all issues, their obsession with counter-terrorism has created multiple un-spoken rules for the society to follow such as what type of clothes you should wear in order to look normal and un-suspicious. A real-life test of the un-spoken rules was conducted by an Australian satirical comedy show called “The Chaser’s War on Everything” in 2006. In that episode, one member of the TV show dressed up as a typical American tourist and toured the Sydney Harbour Bridge with a video camera. He walked around the bridge and video-taped the security camera without getting into any trouble. However, things changed dramatically when the same guy, dressed in Muslim outfit, walked onto the Sydney Harbour Bridge. He was stopped and questioned by a security officer after just three minutes of video-taping. The same test was performed at the Australian nuclear research facility in Lucas Height, NSW and received the same result. The “Muslim” was turned away quickly while the American received directions to the visitor centre. The full episode of the comedy can be watched here. In multiple occasions, I have witnessed the flow of the security screening being slowed down by an officer who was performing “standard” procedure toward the passengers of Indian, Persian and Arabic ethnicity. Not only they were subjected for a full body search, their backpacks were also thoroughly searched for suspicious object. The security officer also tends to devote more of their times toward the passport holders of Arab countries. If a passenger ever visited an Arab nation and has an entry stamp on their passport, you are most likely to be questioned. This situation leads to some countries in the world to issue a secondary passport just for the entry of these countries.